Acne is associated with teenage skin and although the majority of acne sufferers tend to be younger men and women, 80% of people develop the condition at some point in their life and make you feel less confident in your own skin. 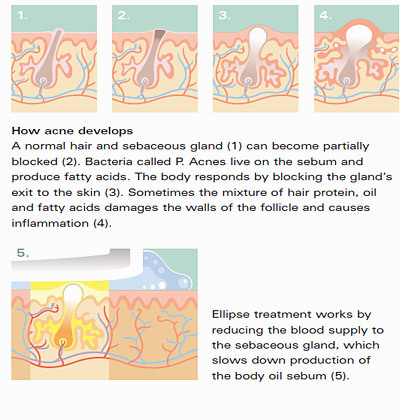 Acne is caused when oil secreting sebaceous glands and hair follicles in the skin are blocked due to hormonal, with possible genetic influences. The obstruction leads to an increase in bacteria, known as P.acne, in the glands which becomes inflamed, causing blemishes such as black heads, spots and pimples to appear. The most common result is facial acne, however back acne can also occur.. In some cases acne can lead to scarring which is difficult to treat with home remedies , there are non-surgical and clinically effective ways to treat acne scarring. 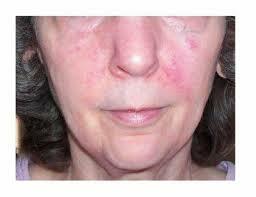 Rosacea, also referred to as Acne Rosacea because of its similar appearance to acne, is a chronic inflammatory disease of the face. It is not known what exactly causes Rosacea but common factors involve malfunctioning of the facial blood vessels, sun damage, genetics and abnormal immune reactions, and is most prevalent amongst women as opposed to men. Early symptoms typically being sensitivity to skin creams and products, resulting in redness and spots on the face, usually across the nose and cheeks. Due to its similar appearance to acne, it is often misdiagnosed .If left untreated Rosacea can lead to dry flaky inflammed skin and papules, which may sting and cause a burning sensation or tightness which can be aggravated by sensitivity to heat, cold alcohol, spicy food, stress and hormones. Add a good quality probiotic supplement to your diet along with a quality fish oil. A damaged skin barrier could be the root of your skin sensitivity. The stratum corneum is outer, ultra thin (almost the thickness of a strand of hair) top layer of the epidermis, protects against bacteria etc plus is also meant to keep things in, specifically, moisture. When the barrier function is disrupted, skin can become dry, irritated, sensitive or acne prone, as the barrier is unable to keep moisture (water and lipids) in and irritants out; leading to TEWL (trans epidermal water loss; an evaporation of moisture in the skin) and inflammatory breakouts from penetrated bacteria and irritants. If you’ve been applying acne products or moisturisers to no avail, it may be because you’re not getting to the root cause of your skin issues – a damaged skin barrier. So, what causes a damaged skin barrier? Reactive to skin care products etc / Skin treatments. Avoid harsh synthetic chemical exfoliants (AHA, BHA, retinol, retin-A) for two weeks, as the lipid barrier requires 14-17 days to restore itself. Avoid physical exfoliation.) 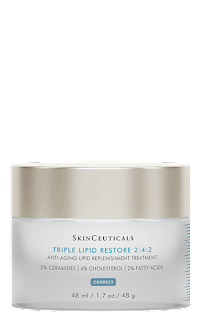 Let the skin build back up again and restore a normal lipid barrier. Avoid common irritants found in some skincare products, like alcohol, fragrance, and silicone. Reduce inflammation with oils, serums and moisturisers that contain antioxidants and anti-inflammatory, soothing ingredients, like chamomile, oats, green tea, bamboo sap, aloe, etc. Feels very dry and tight. How can you tell if your barrier is damaged? 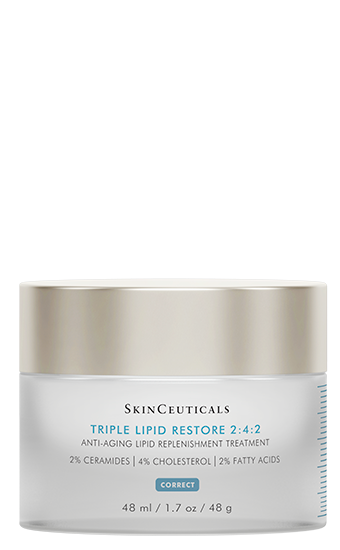 Triple Lipid is also the ideal partner for aesthetic treatments which disrupt the skin barrier –such as peels, retinoids, and volumising or resurfacing treatments – for both pre-treatment preparation and post-treatment recovery and repair. Immediate Results with Long-Term Benefits: The difference can be felt from the first application, with data showing a significant 40% improvement in skin texture and smoothness and 18% improvement in pore appearance. An 8-week clinical study demonstrated statistically significant improvements in the key signs of accelerated ageing, such as skin clarity, evenness, radiance, smoothness, laxity, and pore appearance. Phototherapy. Red light has an anti-inflammatory, healing effect whilst the blue light destroys P.acnes bacteria. With light treatment, free radicals are neutralised and skin becomes more resilient, circulation is increased and new blood vessels replace damaged ones. LED Phototherapy is a great treatment for men and women who do not respond to over the counter creams, and who are antibiotic resistant. The Jet Peel is the ultimate skin detoxifying and deep cleansing treatment. This painfree treatment replaces separate lymphatic drainage, microdermabrasion, peels, extraction, infusion and hydration treatments and combines cleansing, exfoliation, detoxification, extraction, hydration and protection to leave your skin feeling refreshed and looking great. This treatment forms the basis of healthy skin to ensure that your skin continues to look its best every day. Antyage LED Phototherapy offers one of the safest, most effective tools in the maintenance of healthy looking skin. It is a painless, non-invasive skin treatment that uses non-thermal light energy to keep skin youthful, alongside treating a variety of specific skin concerns. LED accelerates the skin’s natural repair process, to promote a healthier looking complexion.